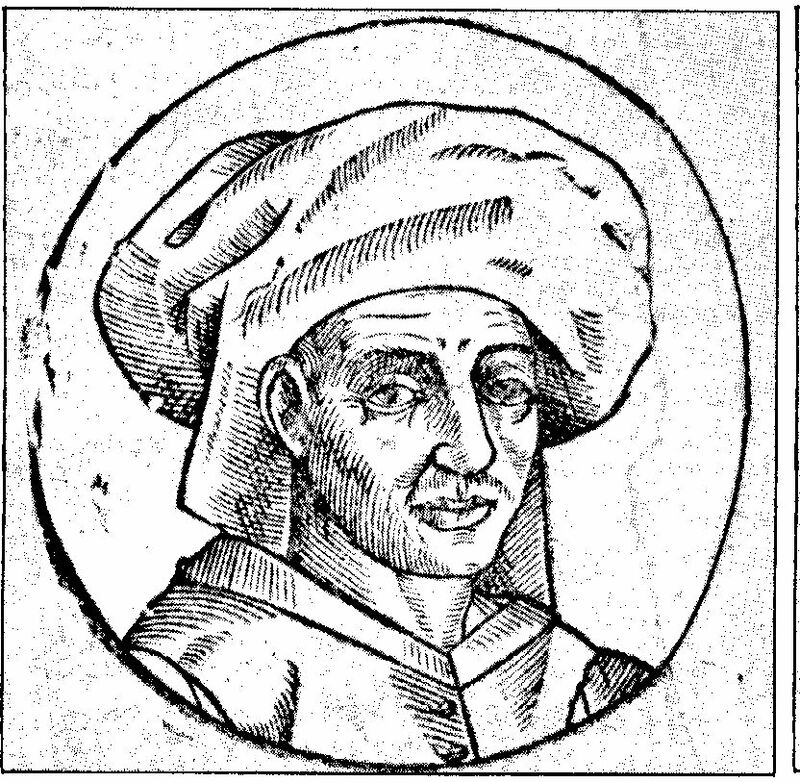 Perhaps the finest composer of the High Renaissance was Josquin des Prez, third in the trio of great fifteenth-century Franco-Flemish composers. His major works are the nineteen masses he composed in a dramatic and masterful fashion. 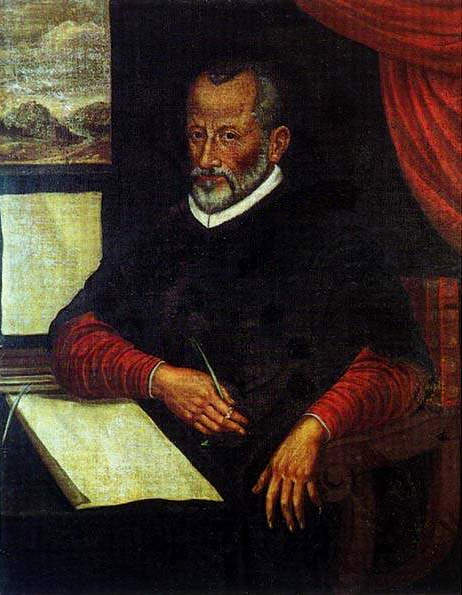 The Franco-Flemish composer Johannes Ockeghem succeeded Guillaume Dufay as the most celebrated composer of his period, and was praised for the “extraordinary sweetness and beauty” of his music. Relatively few of Ockeghem’s compositions have survived, among them fourteen masses that were the most important of their time. The earliest of these masses were composed on the accepted pattern of the cantus firmus (an existing melody used as the basis for the polyphonic composition). Ockeghem later experimented with the pattern, freeing the cantus firmus from its usual tenor part; and he became the fist known composer to use melodies from his own songs as the cantus firmus in a number of his masses. Several of Ockeghem’s masses do not even rely on a cantus firmus, but are freely constructed from rhythmic and melodic fragments. In the succession of medieval composers I have enjoyed so far, I seem to have made personal connections with every other one. Hildegarde von Bingen I adored; the representatives of the Notre Dame school—Perotin and Leonin—not so much; Guillaume Machaut I loved. So I wondered about Guillaume Dufay. I bookmarked numerous pieces, but did not find any particularly compelling until my attention was captured by his beautiful motet Nuper Rosarum Flores. I was all the more intrigued when I learned it was composed for the 1436 consecration of the Basilica de Santa Maria de Fiore. This massive brick dome—which was then in the last stages of completion—was a feat of medieval technology, accomplished by Filippo Brunelleschi. What just happened to be on my library book shelf?—Ross King’s excellent Brunelleschi’s Dome: How a Renaissance Genius Reinvented Architecture. I love connections like this! Interestingly, it has been argued that the proportional structure of the motet was inspired by I Kings 6:1-20, which gives the dimensions of Solomon’s temple. 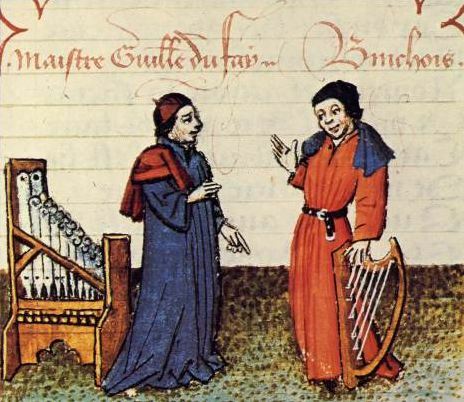 Guillaume Machaut, a medieval French poet whose work was admired and imitated by Geoffrey Chaucer a century later, was also a composer in the ars nova style. He composed in a wide range of styles and forms, including secular songs, but he is most renowned for the Messe de Nostre Dame, the earliest known complete setting of the Ordinary Mass by a single composer. Mauchaut was born around 1300 in the Region of Reims, and probably took his surname from the nearby town of Machault. He served in a number of royal households, including that of John I, his daughter Bonne, her sons Jean de Berry and Charles, and Charles II of Navarre. Graceful spires point to the heavens, flying buttresses leap from the ancient walls, and gargoyles grimace at the bustling streets below. 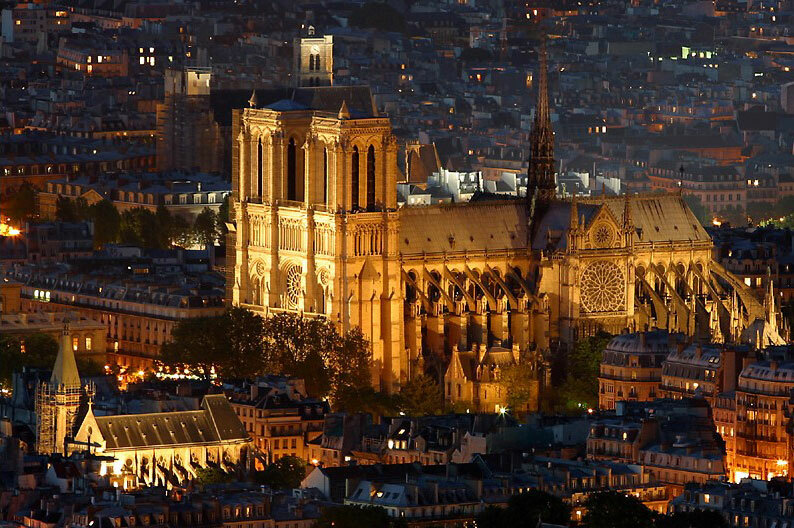 The Notre Dame cathedral in Paris is an icon of French Gothic architecture, and among the most famous buildings in the world. The cathedral belongs to the age of King Philippe-Auguste, under whose reign the medieval kingdom of France was stabilized. Almost two hundred years passed between the laying of its foundations in 1160 and its completion in 1345. This beautiful cathedral—the embodiment of a new era—inspired an outpouring of new sacred music whose innovations would direct the course of Western musical tradition. Léonin and Pérotin are the leading figures of the ‘Ècole Notre Dame,’ a largely anonymous group of French polyphonic composers under the cathedral’s patronage. Léonin, the first great Notre Dame composer, was choirmaster at the time the foundations of the cathedral were laid. His works are characterized by an imaginative and free-flowing style that made elaborate use of complex melismata, new melodic patterns, and rhythmic modes. 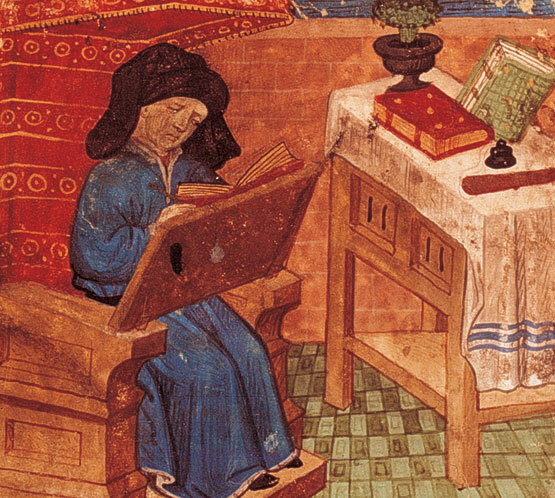 Pérotin may have been a pupil of Léonin, and flourished as a composer around 1200, after the time of Léonin’s death. The details of Pérotin’s life, including dates of birth and death, are uncertain. It is not even confirmed that he worked at Notre Dame, though he remains closely associated with the cathedral. Pérotin is greatly important to Western music for his contributions towards the development of three and four voice polyphony. Since finishing Gombrich’s excellent Story of Art, I had begun a long-planned and anticipated survey of the great composers and their music. I was thus introduced to Hildegard von Bingen, a German Benedictine nun who is the earliest documented composer of the Western tradition. Listening to the Sequentia recording Canticles of Ecstasy, I was surprised, pleasantly, by Hildegard’s virtuosic composition. I had expected more ‘plain’ in the ‘plainsong’ and more groaning too. But instead there was such gladness and clarity in her poetic Latin and in her frequent use of decorative neumes and melisame (though I confess to laughing at one particularly long stretch in ‘O tu suavissima virga’). I had already begun studying the Latin language with one of my brothers, that summer—navigating with him the complexities of conjugation and declension. 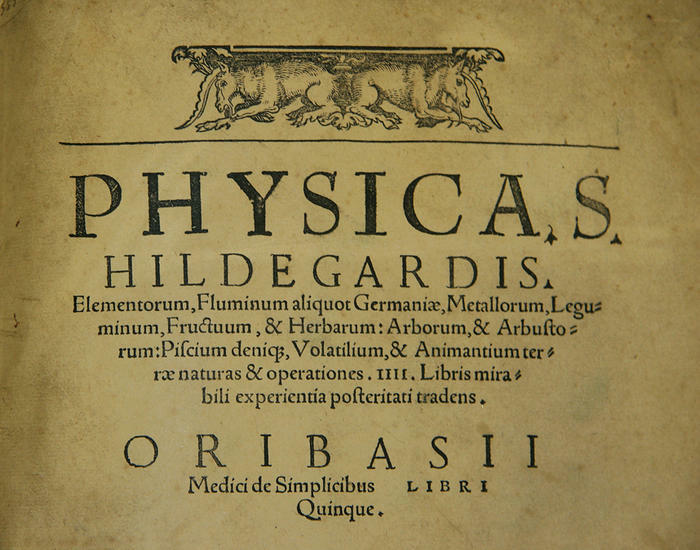 Reading Hildegard’s Latin text (with the help of a parallel translation) greatly enhanced my appreciation for her spiritual vision and poetic expression; it also augmented my Latin vocabulary, and strengthened by love for the Latin and English languages generally. I now consider it an essential experience, and plan to do it again and with other vocal pieces (Haydn’s Creation, perhaps, when I get there!). Canticles of Ecstasy has one instrumental piece—a delicate, shimmering thing that beautifully complemented the soft rain that was falling when I first heard it. It was followed by a song of prayer, and the same magnificent moment in which clear voices of women filled my ear, a shaft of golden light pierced the wavering veil. Hildegard would have liked that, I think. Music was for her the supreme expression of the harmonies found in the interrelation of body and spirit, earth and heaven, man and God. As the tenth child of her parents, young Hildegard was considered a tithe to the church of God and was committed to the care of nuns at a very young age. Although she was a sickly child, after receiving the wise and loving tutelage of an anchoress named Jutta, Hildegarde rose to become abbess in an abbey of her own founding. Hildegard came to recognized internationally in her own time, for her extraordinary output of music, medical literature and particularly for her extensive records of visions she claimed to have received from God. 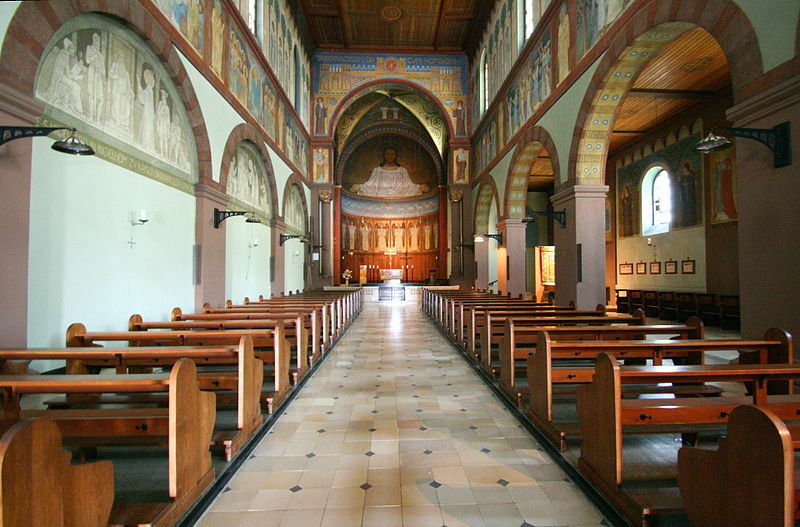 Benedictine Abbey of St. Hildegard in Hesse, Germany was founded in 1165 by Hildegard von Bingen. Detail of the basilica. Benedictine Abbey of St. Hildegard in Hesse, Germany was founded in 1165 by Hildegard von Bingen. Hildegarde’s virtuosic compositions are readily recognizable. 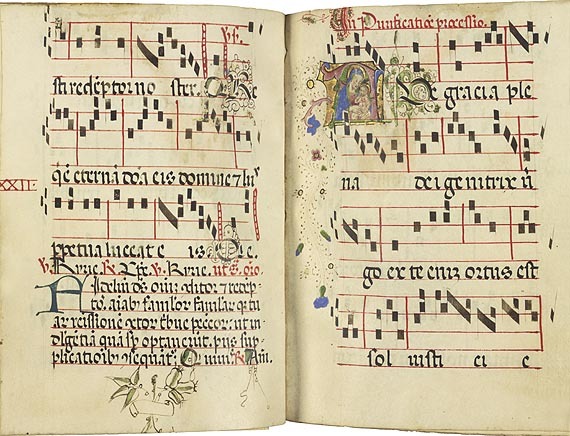 Her music has a highly decorative effect due to frequent use of such musical variations as neumes, in which a word is sung to a series of ascending or descending notes; and melismae, in which a single syllable is stretched over a sequence of many notes. The music of Hildegard’s time was mild by comparison, trodding sedately within a limited range. 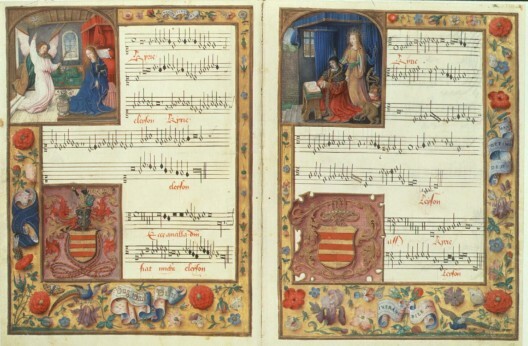 Listen to this example of the Gregorian chant that was the mainstream musical style of the time. By contrast, Hildegarde’s songs are jubilant. The following is a performance of beautifully presented excerpts from Hildegard’s liturgical drama Ordo virtutum (“Order of the Virtues”). Read more about this composition HERE. The following is a lively instrumental dance from Ordo virtutum. 1098: Hidegard von Bingen was born in Bermersheim (in what is now Germany) to Hildebert and Mechthild Burggraf von Bermersheim. She was their tenth and last child, and sickly from the time of birth. 1099: Henry V is elected Holy Roman Emperor. 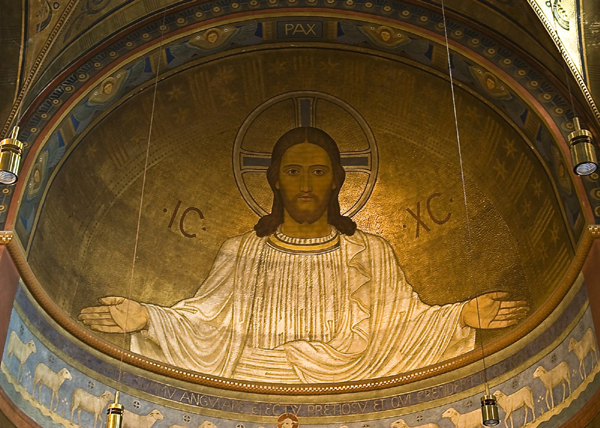 He is crowned in 1111 and holds imperial power until 1125. 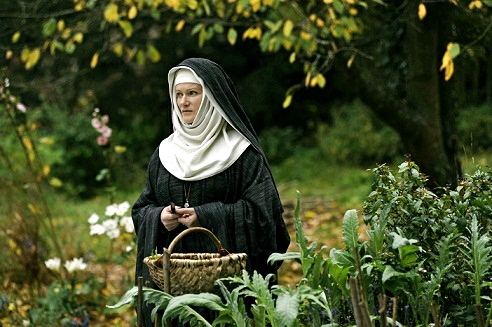 1106: At the age of eight, Hildegard is sent to live in a retreat adjacent to a friary in Disibodenberg. It is here that Jutta von Sponheim prepares her for convent life. 1113: Hildegard takes monastic vows and becomes a Benedictine nun. 1125: Lothair III is elected Holy Roman Emperor. He is crowned in 1133 and holds imperial power until 1137. 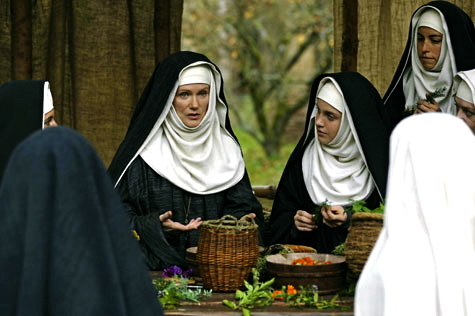 1136: Von Sponheim dies and Hildegard is elected Head of her sister community by her fellow nuns. 1141: Hildegard, who claimed to have visions from a very young age, receives a prophetic call from God demanding her to record her vsiions. She starts writing them down with the help of Brother Volmar and Sister Richardis von Stade. 1148: Pope Eugene III hears of Hildegard von Bingen and creates a commission to determine whether her visions are divinely inspired. The commission visits her and reports the visions to be true. The Pope recognizes Hildegard as a seer and visionary. 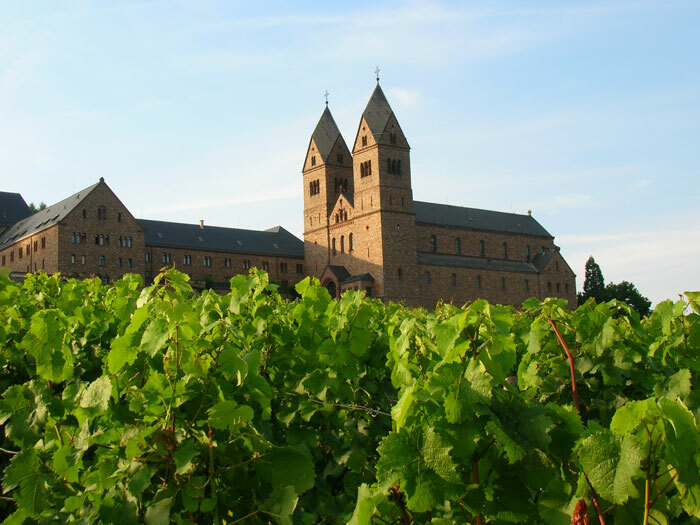 1150: Hildegard founds the all-female Convent Rupertsberg, near Bingen. 1151-58: Hildegard finishes her volume Liber scivias domini (Know the Paths of the Lord). She also writes books on natural sciences, including Physica (The Healing Power of Nature) and Causae et curae (Holistic Healing). 1152: Frederick I (Frederick Barbarossa) is elected Holy Roman Emperor. He is crowned in 1155 and holds imperial power until 1190. 1158-63: Hildegard makes several teaching and missionary tours through the Rhineland and France. 1163: Hildegard writes Liber vitae meritorum (Book of Life’s Merits) and begins work on Liber divinorum operum (Book of Divine Works), the last of her texts on her visions. 1165-1170: Hildegard founds the all-female Convent Elbingen, near Rudesheim, and embarks on additional teaching and missionary tours throughout Europe. 1178: Hildegard runs into conflicts with the Church for refusing to have the body of an excommunicated man who had been buried in consecrated ground dug up. The Church rules that she is not allowed to take the Eucharist. 1179: The Church reverses the ruling against her that spring; on September 17, Hildegard von Bingen dies at the age of 81.